Saturday night saw another first for Roseville Rifle Club. 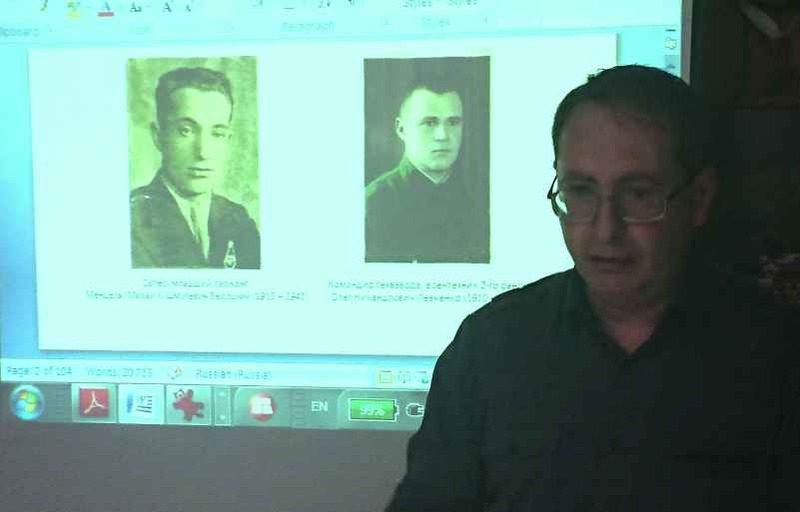 Professor Mikhail Prokopenko delivered an informative and personal summary of the WW2 events in Ukraine during June – September of 1941, including a very large encirclement of Soviet armies after the Battle of Kiev. . It was an insight into the rarely spoken loss of over 500,000 Soviet soldiers (killed, captured or missing) in what was a terrible and terrifying fighting over a relatively short period of time in the vicinity of Kiev. Mikhail’s very personal account of the steps he has undertaken to uncover the path of his Grandfather and the 48th Engineering battalion his Grandfather served was a story of persistence, persuasion and administrative management in both the Russian and German governments. Mikhail unveiled the steps he personally has taken to forensically unravel the steps of so many soldiers who in the majority perished as a result of this conflict. His research is ongoing and as he says “I might never know my Grandfather’s burial site but I am finding the likely place”. Mikhail showed the detailed photos and maps of the battlefields, soldiers and equipment that revealed the human endeavours, equipment and terrain that confronted everyone who found themselves locked in conflict. Official documents from the German and Russian side including declassified information like papers, promotions of rank amongst others plus individual photos. Stories of survival by Russian soldiers in the face of diabolical adversity were riveting. The details that Mickhail provided was clearly just a glimpse of the personal journey that he has committed himself to in his endeavours to uncover the mystery of his Grandfather’s final resting place. Although time did not permit Mikhail from revealing even more information everyone listening was engaged with his dramatic account. The evening was completed with a gourmet diner of lamb stew, vegetables, sausages and vintage wine and drinks. Thanks to Mikhail everyone is the wiser about this event and his ongoing search for the truth.